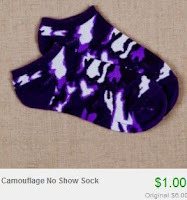 Ladies Socks only $0.83 a Pair! 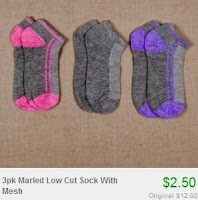 Wow... Head over to Totsy and check out their Summer Socks for Mom sale to find single pairs of socks for $1 or 3-packs for $2.50! There are tons of different styles, colors and patterns to choose from, but they won't last long!